With constant food and insurance costs rising, owning a food truck is not easy. Don’t let common vehicle maintenance mistakes add more bumps to the road. Smart vehicle care keeps your food truck running safely and can help to prevent unnecessary accidents. Staying accident-free will keep your food truck insurance rates down at a time when drivers could use all the help they can get. Whether you have a brand-new or 20 year old food truck, poor maintenance can cost your mobile food business big time. Here are five common vehicle maintenance mistakes you should avoid. 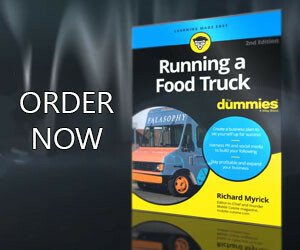 Don’t let the temptation to save a few bucks by delaying maintenance on your food truck steer you off course. Follow the maintenance schedule in your vehicle owner’s manual. Not changing the air filter and oil at the right intervals just makes your engine work that much harder. Neglecting other tasks can have even more serious consequences. Failure to replace worn-out brake pads, can result in the damaging of other parts and put you and your staff member in danger. Don’t take your tires for granted, either. Make sure they’re inflated to the proper pressure. Under-inflation increases tread wear on the outer edges and reduces gas mileage. Too much air pressure leads to uneven wear and faster deterioration. Check on tire wear every 3,000 miles. Use the “penny test.” Put a penny into the tread with Lincoln’s head upside down and facing you. It’s time to replace the tires if you can see the whole head. The better you are at communicating what’s wrong with your vehicle, the better your chances of getting the repair done right. Keep a log of what you hear, feel, see and smell when your truck has trouble and then sharing those details with the mechanic. Thorough information about the symptoms will speed up the diagnosis and save on labor costs. Don’t tell the shop what needs to be replaced since you might be wrong. Also, ask for your old parts back if anything is replaced. This prevents dishonest mechanics from needlessly replacing good parts or charging you for work that wasn’t done. Research repair shops online and get quotes for repairs. Keep in mind you don’t have to visit the shop for every problem. Food truck owners can save an estimated $300 or more a year by opting for independent repair shops rather than truck dealers. Read the owner’s manual to understand what the dashboard warning lights mean, and take appropriate action when a light turns on (even if the truck appears to be running OK). Ignoring warnings could lead to expensive damage and danger. That includes the warning light for low fuel. Besides increasing the risk of running out of gas, driving a fuel-injected engine frequently on a very low tank is hard on the fuel pump. We always recommend keeping the fuel level above a quarter tank. Not everybody’s a mechanical genius, but anyone can learn to replace wiper blades, light bulbs and even fuses and air filters. Doing simple tasks yourself will save money you can use to pay experts for complex work.